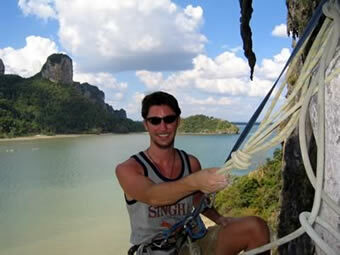 If you want to hire a private guide, then we can highly recommend one of our Senior guides. 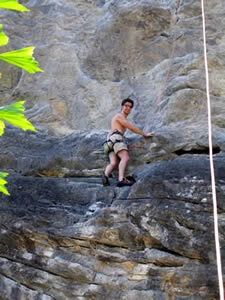 The Senior guides have been guiding for around 10 years, are friendly, fun easy going and safe. 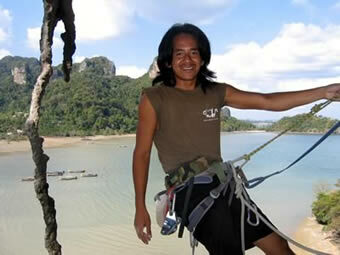 The guides have completed various first aid, rescue and instructor courses and know the climbing around Railay Beach like the back of their hands. 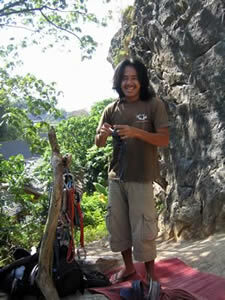 The good thing about hiring a personal guide, is that he can take you to climbs and areas which most suit your ability. This is especially useful for intermediate climbers who may not have a lot of time or a climbing partner, but want someone to lead up a few of the more interesting climbs/ multi pitch routes. 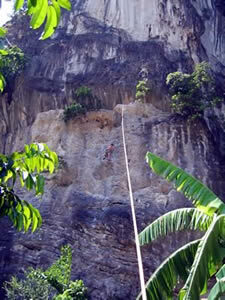 The guides also teach absolute beginners, so if you prefer one on one teaching then this would be a good option. Includes free hotel transfer, equipment, fruit, water and insurance cover. There are three rates. What you do largely depends on you. If you are a beginner then we would recommend doing a three day course. 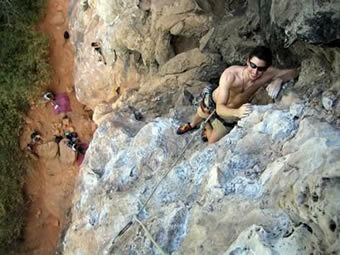 If you want to do a multi pitch climb, then you will need to book a full day. We would recommend doing no less then a full day. The kind of things you can expect from a three days course include self rescue and rope technique, top rope climbing, rappelling, lead climbing and multi-pitch climbing. Put another way, if you are beginner then a three day course will provide you with the skills and knowledge to climb safely on your own.